The drive to deliver patient-centered care often rests on a special – and increasingly rare – skillset called emotional intelligence. Think bedside manner, but beyond being nice to patients you are empathizing with them, understanding how they are feeling and expressing your own emotions appropriately. Higher levels of emotional intelligence will likely result in higher levels of patient satisfaction, better care and, potentially, fewer medical errors. Don’t consider yourself particularly warm and fuzzy? No worries. 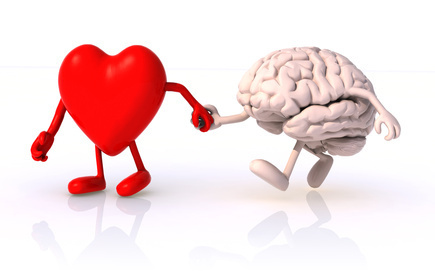 Anyone can develop emotional intelligence (standby for the caveat) with practice. A physician in Maryland discusses a range of options with a patient with a serious illness, presenting detailed, clinical data. The patient selects one of the treatment plans presented, and the physician leaves. Later that day, the patient flags down a nurse and begins asking a number of questions about the plan he previously agreed to. The patient looks confused and concerned and is talking rapidly without pausing for answers. The nurse recognizes that the patient has agreed to a treatment plan he does not understand and with which he is not comfortable. The nurse and physicians work together to connect the patient with additional resources and information. They ensure he fully understands the options available to him and that he is comfortable with the path forward. This scenario is sure to result in better patient satisfaction and better quality of care. If achieving this level of empathy doesn’t come naturally, here are a few tips to increase your emotional intelligence. To get started, it helps to understand your own emotions and know how you react to certain situations. When someone fires off an email that implies you dropped the ball, for example, what is your initial reaction? When you’re cut off in traffic, do you let it go or succumb to road rage? Now that you have self-assessed your own emotions, try asking a friend, family member or co-worker for their perspective. Ask them to share their observations about a time when you were highly emotional. You probably will not be surprised to learn that we often can view ourselves differently than those around us. With this information in hand, begin making more frequent observations about your emotions. Remember to push the “pause” button before speaking or acting – or, yes, emailing. This can give you time to evaluate your own emotions and avoid situations that haven’t been thought through. Taking a breather for as little as six seconds can give you enough time to assess how you are feeling and make better choices based on that knowledge. While these strategies may not be realistic every day in a health care setting, over time they can lead to more productive interactions between clinicians and patients. In the scenario we offered earlier, the nurse recognized behaviors in the patient, such as questioning and body language, which indicated he was unsure and uncomfortable. By taking time to observe the patient, she was able to use her knowledge of emotions to understand what the patient needed without him having to say it. This is key because patients — all too often — do not have the knowledge or confidence to advocate for themselves in a medical setting. Make the commitment to growing emotional intelligence, but don’t expect to implement it flawlessly immediately. Instead, practice the steps laid out above and set the long-term goal of putting emotional intelligence into practice. At the MHEI Healthcare Leadership Conference in October, Daniel Goleman, Ph.D., a groundbreaking psychologist and New York Times best-selling author of “Emotional Intelligence,” will discuss the importance of emotional intelligence in health care.